On a recent visit to Winnipeg, I toured the Canadian Museum for Human Rights (CMHR) with Dr. Clint Curle, Senior Advisor to the President of CMHR. As we visited, we discussed how religious freedom is explored by the museum’s curators. More specifically, we looked at the tensions that exist between competing rights and privileges in Canada and across the globe. On a recent visit to Winnipeg, I was given a tour of the Canadian Museum for Human Rights (CMHR) with Dr. Clint Curle, Senior Advisor to the President of CMHR. As we visited, we discussed how religious freedom is explored by the museum’s curators. More specifically, we looked at the tensions that exist between competing rights and privileges in Canada and across the globe. Dr. Curle is a former Professor at Carleton University, where he taught at the intersection of human rights and legal theory. We viewed The Witness Blanket, and later spoke about this exhibit and the role of museums in reconciliation. The Witness Blanket is an installation by Carey Newman (Ha-yalth-kingeme), an Indigenous Canadian artist whose passion lies in merging tradition with contemporary culture. Inspired by woven blankets—which symbolize protection and comfort—Newman created a wooden quilt which weaves together fragmented pieces of Aboriginal history and spirituality. Comprising various artifacts from Canadian Indian Residential schools, government buildings, treatment centres, churches, and other significant places, The Witness Blanket “stands as a national monument to recognise the atrocities of the Indian Residential School era, honour the children, and symbolise ongoing reconciliation,” says the exhibit website. 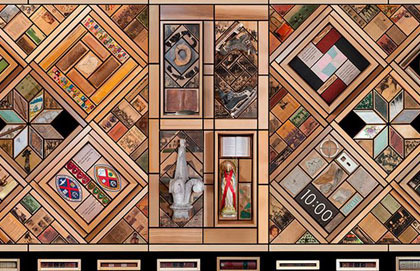 Pieces of floorboards, walls, doors, religious iconography, paintings and more are intricately placed side by side to form a mixed media commemoration of residential schools in Canada. It holds segments from survivors’ belongings, too. Books, clothing, toys, and even the hair of residential school survivors are woven together in the memorial. These pieces of history tell onlookers a story that has long been muzzled. “Each fragment, a silent witness to some part of this story. Individually, they are paragraphs of a disappearing narrative. Together they are strong, collectively able to recount for future generations the true story of loss, strength, reconciliation and pride,” says the artist online. Strewn in the wake of the Indian Residential Schools are an immeasurable number of broken or damaged pieces. These fragmented cultures, crumbling buildings, segments of language, and grains of diminished pride are often connected only by the common experience that created them. Imagine those pieces, symbolic and tangible, woven together in the form of a blanket. A blanket made from pieces of residential schools, churches, government buildings, and cultural structures. Through the blanket, Carey expertly curates splinters from Canada’s history that, when isolated, can’t tell the full story of the Residential schools. “Left alone, these pieces may be forgotten, lost, buried, or worse – be uncomfortable reminders that leave painful impressions on the minds and hearts of those who recognize what they represent,” the website continues. In the Summary Report of Canada’s Truth and Reconciliation Commission, the Commissioners spoke directly about the role of museums in reconciliation. They said: ‘Museums have an ethical responsibility to foster national reconciliation, and not simply tell one party’s version of the past. This can be accomplished by representing the history of residential schools and Aboriginal peoples in ways that invite multiple, sometimes conflicting, perspectives, yet ultimately facilitate empathy, mutual respect, and a desire for reconciliation that is rooted in justice.’ The Witness Blanket exhibition does all these things. It fits well with our overall approach to our work, which focuses on bringing diverse voices and viewpoints together to encourage reflection and dialogue on human right. The Witness Blanket offers a platform on which Canadians can hear the untold stories of survivors and ultimately practice the empathy and solidarity required for reconciliation. 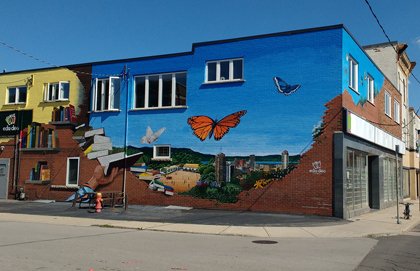 Convivium had a chance to speak with Hank de Jong, Executive Director of EduDeo Ministries in Hamilton, Ontario, and ask him about the work that the organization is doing around the world – and right at home on Barton Street. 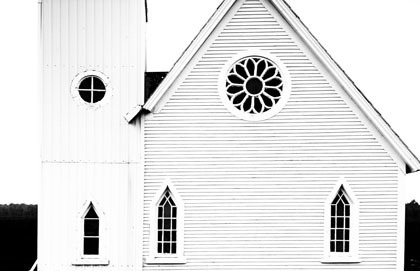 This is a story of how people of faith refused to be victimized by terror. 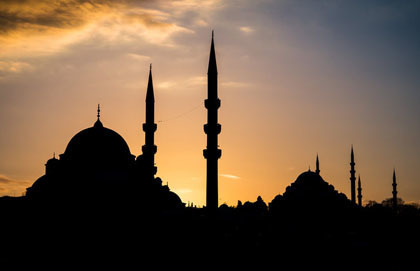 It resulted in the establishment of Toronto’s downtown Masjid Mosque which turned the corner of the corner of Dundas and Chestnut into a place of prayer and spirituality for thousands of Canadians each week. How many people think of Brampton–the 500,000 person city northwest of Toronto—as being the centre of any religious movement? In the mid-1800’s, Brampton, a community of less than 600 people, was the heart of the Canadian Primitive Methodist movement. Read here.